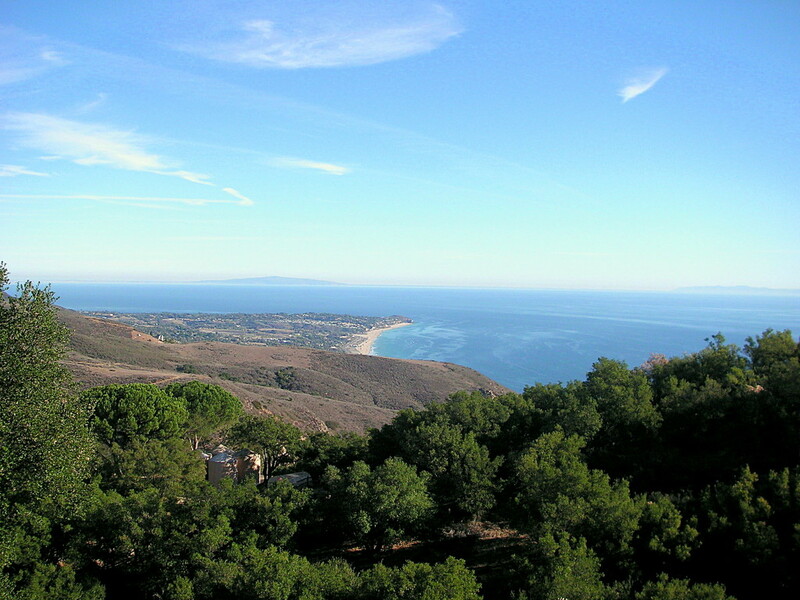 I went on a Thanksgiving Day hike in the hills overlooking the Pacific Ocean. This was my view as I had my holiday meal of a turkey sandwich. That's Malibu down there. I can see that it was something to be thankful for. Rose!! coming back? Fabulous perspective here with some great color. A peaceful day for sure and not a bad idea at all! Yeah, trying to come back, but first I had to get my laptop set up at least somewhat the way I want it. My sister had a BUNCH of photos on it and I went in and deleted most of those and then installed Picassa. But I'm so rusty at the whole process of downloading and editing photos that I'm taking baby steps right now. @pasadenarose YAY!!! I remember feeling the same way when I started back after my accident. Baby steps works!! Welcome home! Hello again! Love baby steppin! Great vista! This is such an amazing shot. How I love the coast and photos that are posted of it. It was just my husband and me for Thanksgiving. We BBQ'd a turkey and made all the sides that we usually made. Had lots of leftovers and a great soup a few days later. Was kind of nice to have the time to ourselves though we never spend Thanksgiving with family as we would have to travel to do that and they do not want to. Looks as peaceful as your description. Love the colors!! How's life treating you? Looks a great walk, such a wonderful view! Things are good, thanks! But I'm gearing up for a move soon, so very pre-occupied. Just can't seem to force myself to sit down and edit/post photos. Wonderful pov of this beautiful landscape! Excellent vista. Lovely colours and shot. This is an awesome view of our coast line. We're from "up the coast" aways and this kind of landscape is familiar to us. Now we often enjoy our local Sunset Cliffs for our ocean views. I am a bad 365er too. Finally got some photos posted on here but not spending much time on here either. I hope your move went well. Just saw your comment on Michael's photo and had to stop by. Made me laugh. Well I'd say it's about time for another Tday photo! Thanks so much for commenting on my project,hope to see your photos here again too! It's wonderful seeing you commenting again, alway good to see old friends pop up! What a view! Anything will taste good with this kind of panorama in front of you. Happy New Year. Saw a comment of yours and thought I would check for a new photo. Love this one though. Miss the Pacific Ocean. It has been way too long since we have been to the Bay Area. Hope you are doing well. WOW!! What a view!!! I would have been Thankful for a view like that too!!! You took this photo on my birthday!! LOL I was a turkey baby! I love the ocean!! We are on the Atlantic side!! I love this photo and the beautiful blues!!! Thanks so much for your comment on my white squirrel!! I left you a reply. Hope to see more of your photos and hope you don't mind the follow? I'm blonde and a ditz!!! Check out my recent photo at Ice House in the mountains above Placerville. Reminds me of this view. Hope you are doing well. Wow! Amazing perspective of this scene. Sounds like a perfect Thanksgiving day. This is my first glimpse of Malibu. I can see why people love it. would love to see and/or hear from you! Thank you for the kind note and for thinking of me. I do think about you and 365 more often than you might believe. In fact, just before the new year I was in the area where I took my Rose Parade preparation photos and thought of you then. I've been meaning to log back into my account, but kept hesitating because I was sure my album had been deleted by now. I'm happy to see it's still here!! And you are too! ❤ I hope you are well. I'm posting this from my phone, but I'll try to log in from my computer this weekend and take a look around the site. just checking in to make sure all is still well with you!